Hi I have a 1955 Panhead and it has been sitting for over 10 years. My uncle was working on it back then and was in the process of re-wiring it and placing all of the wires in their corresponding order but never got back to it. So now I purchased it from him however it needs rewiring. I do not know what wires go where. Can anyone help???? Please! Join in and write your own page! It's easy to do. How? 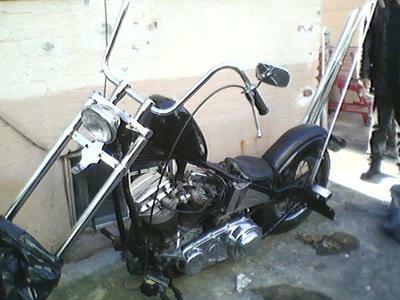 Simply click here to return to Panhead Choppers.